When asked by the author what she hopes viewers get from her work, Donna Sarten replies with an unusual response: ‘A great sense of disorder.’ With visitor feedback commonly revolving around being shocked or disturbed by the content of her artwork, Sarten hopes this reaction will cause viewers to consider their role in society and their ability to influence change in New Zealand, particularly in regards to serious crime offenders such as child abusers. It is perhaps this interest in social change which leads Sarten to choose her project first and then select which media would be the most effective to convey the idea. Originally from New Plymouth but eventually ending up in Auckland after a rather tumultuous initial few years, Sarten has a fine arts background after completing a Master of Fine Arts (Honours) at the University of Auckland’s Elam School of Fine Arts. While completing her undergraduate degree Sarten began investigating anxiety through the lens of a camera and then moved into more sculptural approaches to broaden the scope of her practice. Her work investigates various contemporary power relations including psychological, social and geo-political, often with a focus on subjects such as war, anxiety and child abuse. Sarten attempts to address situations that are endemic to our social situation while at the same time sit outside society’s comfort zone, thus pushing into the spotlight topics which are typically pushed aside and not talked about. Such is the case with the photographic exhibition currently on display in the Corban Homestead Galleries Norm & Noeleen, which is in collaboration with her partner Bernie Harfleet. 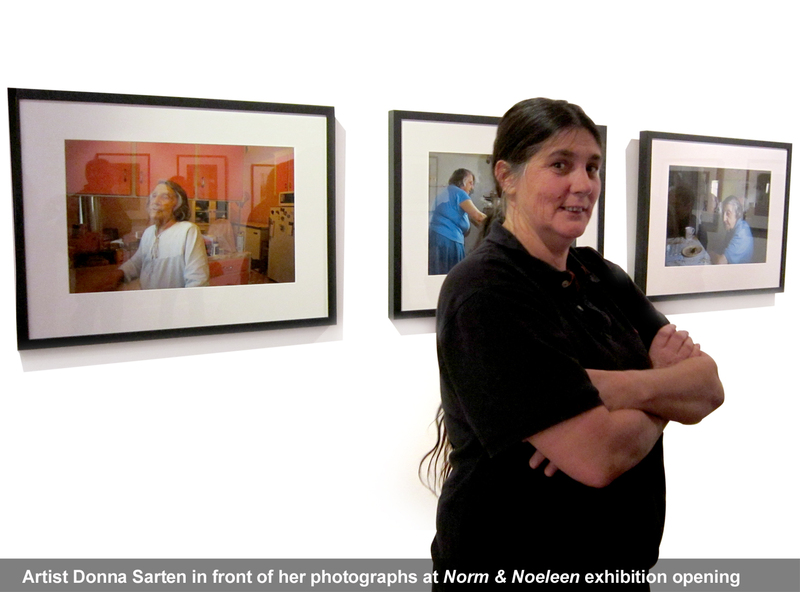 Sarten presents a photographic essay of her adopted mother Noeleen within her home, which she is determined to remain in while she battles with dementia and old age. During her Master’s degree at Elam Sarten focused her research on post-traumatic stress disorder, particularly exploring some of the lesser-discussed aspects of war experienced by New Zealand soldiers. Her work touched on subjects such as conscientious objectors and the effect of post-traumatic stress on soldiers. Sarten maintains an interest in drawing attention to specific historical and present events in order to raise people’s awareness of war and its results, as well as exploring psychological trauma such as post-tramatic stress disorder. This is perhaps linked to prominent artist Louise Bourgeois who has influenced Sarten’s art practice, not only in her technique and the impressive nature of her sculptural spiders and cell-works, but also the therapeutic element to her art making. Bourgeois suffered betrayal and anxiety following the discovery that her English governess was also her father’s mistress, and this childhood trauma has featured in many of her artworks in their suggestions of the human figure and their dark, lonely themes. 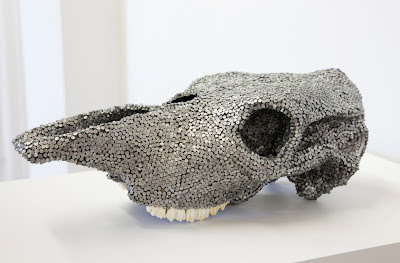 Sarten may also be using her investigations into trauma and anxiety as a means of therapy as well. After successfully coming second place in the Fieldays No.8 Wire National Art Award 2012 with her sculpture The Price of Milk, Sarten was also featured recently in the Art of Assemblage exhibition as part of the Erupt ,Festival in Taupo. Coming up for Sarten is a new work for Sculpture OnShore 2012 as well as adding to a long-term project entitled Future Tense. It began in 2005 with a series of photographs featuring four girls aged 18 months, 8, 9 and 10 years old. The images evoke real and perceived feelings of the vulnerability of these children. She revisited her sitters in 2009 to see what had changed over four years and to ask the question: what do their futures hold? This summer Sarten will photograph them again at ages 9, 16, 17 and 18, which will inevitability bring new challenges.